Do you know how to budget? A lot of people hate the B word. I have to admit it myself that I do not enjoy budgeting. Many people try to fake it by simply calling it a “spending plan”. But, budgeting is a great way to make sure that you have enough money to pay the bills each month. It is also a way for you to save for different financial goals you may have in life like retiring early, finishing your bucket list, or sending your children to college. The hardest part of budgeting may be simply starting. So many people do not know where to start or how to get going. Keeping track of the money you spend isn’t always easy, which is probably why so many people don’t do it. But, everyone should have a monthly written budget whether you’re starting out on your first job or working your way to the top of the corporate ladder. This infographic can be a great budget guide for you. A few tips can help you build your budget and, in turn, build your savings with this budget guide. The first part is determining how much of your expenses are fixed, meaning they won’t change at all, no matter what. If you can manage it, they should be no more than 50% of your income. The next 20% should go toward goals you’ve set — getting rid of debt or building for retirement, for example. The remaining 30% is flexible: Use it to eat out, to pursue your hobbies, to take advantage of amusements. Making and managing a budget isn’t hard. But, the sooner you get started the sooner you’ll be able to meet your goals and live life with less worry. Starting a budget that makes sense can take a little bit of time at first, but it is well worth the time and effort that you put in. Here are some steps to help you get started with your first budget. The most important thing about a budget is truly being honest with yourself about your income and spending habits. This can be hard especially if you use a lot of cash to make purchases. It is relatively easy to see where your money goes on credit card statements and bank records from your debit card, but cash has a tendency to simply disappear. One great way to find out where your money is going is to keep a journal of all your transactions. For one week, try writing down every time you spend money on something. I think that you will be quite surprised when you add it all up in the end. To make a budget work, you need to find everything both your income and your expenses and put them all on the table. You need to find out how much income you really bring in and not just a guess as to what your pre-tax salary is. You may be surprised by things on your pay stub that you haven’t looked at in years like your withholdings. Now is the time to write your budget down. Start by listing your monthly income and then begin subtracting all of your expenses that you encounter every month. There are several software programs that can help with this if you did not want to use the tried and true pen and paper method. I like to use Microsoft Excel to help me with my budget. Quicken is another popular finance software that can help you set up a budget and monitor your accounts. Many people also use Mint.com , which is a free online web-based system where you can set goals, monitor your spending, build a budget, and see all your accounts in one location. Either way, these programs can automatically update all of your many accounts, categorize your spending, and help you build a budget. Once you have a true picture of your income and your monthly expenses, it is time to see where you stand. You may make the stark realization that you are spending more than you bring in every month and have a negative cash flow. By looking at your expenses that you have listed on your budget, you can see where you may need cut back to make your budget balance. If you are cash flow positive, it is important to look at your goals. Do you want to save more? Do you want to buy a house? Whatever your financial goal is, you can use your budget to start factoring that money in it in order to reach those goals. You can then play with different spending categories to see where you can find money to get to your goal. However, by having it all laid out in a budget, you now have the power to make decisions where you want to go with your finances. A budget makes it easy to see where you are, where you want to go, and how to get there. You can use a budget as a tool to help you save your money and set your financial priorities and financial goals. A budget is a tool, so to speak, you use for saving your money and setting certain financial goals. The process also helps you establish a plan of attack on how to reduce and get rid of any consumer debt that you may have. A budget can help you see where you need to cut spending so you can channel your money toward more worthwhile purchases. Make your budget work for you. That means to look at your savings as a commitment you’re making for the long haul. Do not let any types of setbacks deter you from your objective from saving for the future. Stay on track and keep focused. Life is apt to deal out a bad card every now and then. However, do not let that bar you from directing your sights on your intended goals. If you are finding your savings contribution hard to maintain, scrutinize your budget. It can shine some light on your spending habits. For instance, you may need to cut down on random purchases. A bit of behavior modification might be in order. Purchasing a vehicle in one or two years. Setting such goals provides incentives to curb spending. However, do not make the goals so unrealistic that it makes it impossible for you to save. By making slow and steady progress, you’ll reach your objectives. After all, budgeting isn’t a temporary fix. It is a lifetime commitment. You may find, when you establish a budget, that a couple big payments come due at approximately the same time. If this is the case for you, you can make the cash flow situation a little less strained by contacting certain creditors and asking them to reschedule your payments. Try to maintain payments so you’re not slammed with a lot of bills simultaneously each month. You’ll also discover, by establishing a budget, that you can even out the cash flow with respect to medical and dental visits as well. Stagger checkups so you do not have to pay all your out-of-pocket healthcare costs at the same time. Setting up a budget also helps you learn how to prioritize when buying clothes. Plan to use the money you save for clothes for items that are worn more often. For example, it is much better to pay more money for a quality windbreaker than a designer dress. Budgeting can certainly help you make your money work for you. 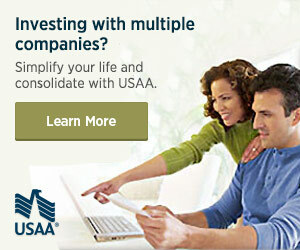 It is the best way to organize your household finances. Manage your money so it does not manage you. There are so many different budgeting tools and systems that you can use to help you manage your finances. We often get pigeonholed into one favorite system or another. Or, we only consider one option as the “right” way to budget. But, what budgeting system works best for you? How do you balance your checkbook? I had this amazing conversation with a coworker last week, and it struck a chord with me and inspired a little bit of a revelation. I used to always joke with my wife. When I met her over 14 years ago in college, she was balancing her checkbook not with the typical register and reconciling method that so many people use every month. Instead, she would simply call the 1 800 phone number of the bank to check her balance. Now, keep in mind this was before online banking was so prevalent. But, I have to admit that the system worked for her. She knew exactly which checks she had written or when she had used her debit card. She kept track, although not on her check register, which checks had cleared and which ones still needed to post. The system worked for her. It was unorthodox, but it worked. I cannot remember a single time where she ever bounced a check. I have mentioned several times on Money Q&A and other websites where I have guest posted that my family and I do not have a traditional monthly household budget. We do not use the envelope method. We do not have strict line items that we spend on certain categories each month. Instead, we have several fixed expenses like rent, mortgage, electricity, and others that we pay throughout the month. And, we also have several categories for variable expenses for things such as entertainment, groceries, eating out, and the like. We have brought categories and a set amount allocated to be shuffled around for all our variable costs. We try to put as many items especially those from our variable costs on our American Express rewards charge card which we pay off every month when the bill is due. We religiously check our credit card statement every day or two in order to help us monitor what we are spending our money and to keep track of how much we have left to spend in our budget for these discretionary variable categories. There are so many ways to plan out your monthly budget. Do you use the pencil and paper method? Do you have envelopes and cash for your different spending categories? Do you use a Microsoft Excel spreadsheet to help you keep track of how much you are spending every month? Have you found a hybrid method like my wife and me that works for you? Like so many financial planners and bloggers have said before, the beauty of personal finance is the personal part of it all. There are so many different ways to skin the cat. There is no right answer to this problem. While many other financial topics and problems offer rules of thumb or strict guidelines, setting up your family’s monthly budget is not one of them. There is a lot of flexibility if you need it to help you build not only a good budget but also one that you will follow. Find what works for you. If you’ve done any reading on cash-only budgeting previously, then you probably know about Dave Ramsey’s Envelope System. In a nutshell, this system uses literal envelopes to store cash you’ve allocated for various categories in your budget. So, if you have $400 per month budgeted for groceries and dining out, then you would put $400 in the envelope labeled “Groceries/Restaurants” (or $200 per paycheck, if you’re typically paid on a bi-weekly basis) and stop spending when the envelope runs out of cash (though obviously, you don’t want to starve, so it’s important to have an emergency savings fund and try to avoid dipping into that at all costs by sticking to your budget). Unless you have built up a considerable emergency fund, going over your budget can be an incredibly stressful experience. After all, despite the wide availability of credit and lending options, money is still a finite resource and you wouldn’t want to borrow from some lenders due to shady practices and hidden, high-interest fees anyway. But, you shouldn’t kick yourself if you blow your spending plan while learning how to budget. It’s often inevitable. But, you can recover from blowing your budget. Missing your target budget doesn’t make you a bad person or a financial failure. This is only temporary (remind yourself of this consistently). You will overcome this and prepare better in the future for potential circumstances similar to your current one. Once you’ve centered yourself, you’ll be better able to engage proactively with the situation. This entails an honest evaluation of what happened by asking yourself what caused you to go over budget, was this preventable (if so, how? ), and what you could feasibly do to avoid such a problem in the future. Rather than frantically scrambling to recover your budget right away (which may only produce short-term results), it’s important to understand how you can create long-lasting change by identifying exactly what expense or circumstance led your budget to fall apart at the moment. Emphasizing long-term, proactive evaluations does not mean you shouldn’t simultaneously look for quick fixes in the meantime, either. As long as you understand that’s just what they are – quick, not permanent or 100% effective solutions – then locating short-term cuts in your budget could reduce your stress by producing some measure of results (e.g., monetary savings) and reduce the impact of a blown budget on your overall financial situation. As you probably already realize, even little expenses add up over time. Whether this is your ongoing film/television subscriptions (which can be canceled temporarily with no cancellation fees or re-start fees), eating out at restaurants, or waiting a little longer to replace some non-necessary items like clothing, electronics, and furniture, there are many different ways to save on small areas of your budget. All it takes is an hour or two of you sitting down and going through the list of expenses in your budget and evaluating. You should look at which ones are your most crucial categories and which ones could be reasonably reduced without impacting your life to a great extent. Who knows? You might find yourself permanently reducing your budget, thereby freeing up more money each month to put into a rainy day fund instead. Blowing your budget isn’t the end of the world. You won’t be in the red forever, you aren’t a failure because you happened to go over budget, and you will overcome this temporary period of stress and financially struggling. You won’t resolve the problem overnight, but a focus on both short and long-term solutions can help you prevent this from happening again later on down the road. Rather than trying out a bunch of quick fixes with no consideration for future financial strategizing, develop a new budgeting system that works for your situation, whether it entails more side income or more cuts to your current budget. Being proactive, rather than reactive, will ultimately produce the best results and help you avoid financial problems the next time you come close to blowing your budget. A budget is a tool, so to speak, you use for saving your money and setting certain goals. The process also helps you establish a plan of attack on how to reduce and get rid of any consumer debt that you may have as well as establishing a spending plan for you and your family. Do you know how to budget? What budgeting system works best for you? Hank Coleman is the founder of Money Q&A, an Iraq combat veteran, a Dr. Pepper addict, and a self-proclaimed investing junkie. He has written extensively for many nationally known financial websites and publications about investing, retirement planning, and even how to find the best return on investment. Hank holds a Master’s Degree in Finance and a graduate certificate in personal financial planning. Email him directly at Hank[at]MoneyQandA.com. Hank has written 584 articles on Money Q&A. Learn more about Money Q&A on Twitter @MoneyQandA and @HankColeman. If you want to learn more about taking back control of your money please subscribe to Money Q&A’s RSS feed or via email to receive all the latest articles! You can also subscribe to our Free Weekly Newsletter. “A budget makes it easy to see where you are, where you want to go, and how to get there.” Right on! A budget’s value is measured by how well it helps you make better money decisions. That’s the whole idea of budgeting, right? Great message Hank! It’s difficult to get a handle on spending if you don’t have a plan. Yeah, I’m one of those people who HATE to budget – it just feels so restrictive, and since I like to rebel, I’m tempted to blow my budget just to prove my nonconfirmity. That said, laying it all out there and seeing exactly where I’m wasting my money is enough to keep me on track. Nothing like seeing $75 spent on fast food to get you back into shape (figuratively and financially). Without a budget, people go about figuring out their finances with a blindfold. I may not like it, but I do it to see where I am at and where I want to be. I can understand what you mean why people hates the B word. In my case, it gives me a sense that I am not free to spend the money to my choosing. I was wrong. It is more better to keep track of my expenditures since it can help me create a leeway for my pleasure spending. I certainly do some of the things you mentioned. See, it’s just my first job and I want to really save money for myself. I try to calculate my expenses for everyday and I get a pretty good amount of savings at the end of the week. It’s much better to start learning how to budget at an early age, right? Thanks! Get new blog posts delivered right to your email!